Surgical errors are more common in the U.S. than one may think. In 1999, the Institute of Medicine published a report stating how just less than 100,000 people in the U.S. died every year from medical mistakes. However, according to a report issued by the Journal of Patient Safety and as reported by Propublica.org, that number is now estimated between 210,000 and 440,00 patients each year. The estimate includes patients who suffer any type of preventable harm such as misdiagnosis, surgical error, and patient mix-up. Propublica.org notes how this “would make medical errors the third-leading cause of death in America,” third only to cancer and heart disease (the second and first leading cause of death in the U.S., respectively). Surgical errors are often the most serious of medical mistakes, because they are often irreversible mistakes that result in death. An article in Medical News Today states how events that should never occur during surgery are known in the industry as “never events,” but these events occur far more often than never. Findings published in Surgery (as reported by Medical News Today) report more than 4,000 “never-events” happening each year in the U.S. And between 1990 and 2010, there were more than 80,000 of these across the country. Examples of surgical error include extremely severe and identifiable mistakes such as a surgeon leaving a tool inside a patient’s body. By some estimates this happens about 39 times a week. Other surgical errors include a doctor operating on a wrong body part, or performing the wrong surgery. This happens less often, but still at a staggering estimate of 20 times each week. Malpractice claims arising from incidents of surgical error have cost the medical industry more than $1.3 billion between 1990 and 2010, according to Medical News Today. Submitting a medical malpractice claim can be a long and arduous process. If you suspect that you have been a victim of medical malpractice or surgical error in Connecticut, the most important first step is to seek the counsel of a malpractice attorney. Contact a Westport medical malpractice attorney for a free initial consultation today. The American College of Emergency Physicians (ACEP) recently released their 2014 Emergency Room Report Card and the grade is not good – the national results were a D+. The study found that, nationally, the emergency care environment had actually gotten worse since the last report card was issued in 2009. 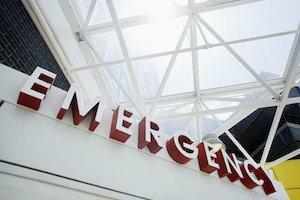 Access to Emergency Care – The national grade for this category was a D-. There are many issues that emergency care environments cannot seem to overcome, including the amount of time patients have to wait for emergency room care, shortages in on-call specialists and other healthcare workforce members, and the increasing costs for care. Twenty-one states received F’s in this category. Quality and Safety Patient Environment – This category received a C for its overall grade. The study points out that there have been new systems and protocols introduced to improve life-saving treatment and promote better functioning emergency rooms. Ten states received F’s in this category. Public Health and Injury Prevention – The overall national grade for this category is a C. There has been no improvement in this section since 2009. It is the one category where states can take the initiatives to be pro-active in implementing programs to help reduce the need for emergency care. An example of this cited by the ACEP would be immunization programs for children and senior citizens. Ten states received F’s in this category. Disaster Preparedness – This category saw a slight decrease since the last report card and has fallen to a C-. The ACEP contributes this decrease to disparities in each state’s hospital systems when it comes to the capacity of the hospitals and how prepared its personnel are for disasters. Thirteen states received F’s in this category. If you have suffered permanent disabilities because of a physician’s error or misdiagnosis, you may be entitled to financial compensation for your pain and loss. 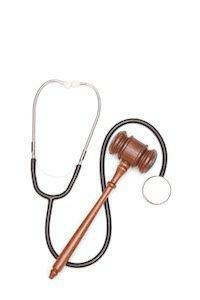 Contact a Westport medical malpractice attorney to find out what legal options you may have.